Most travelers find winters an agonizingly depressing time of the year because it deprives them of the sun, and the ability to trek down rowdy mountains, go on underwater adventures, immerse in water sports, bungee jumping, zip lining and a range of other adventures that cannot happen when one is standing in knee deep snow. We’ve decided to enthrall you all with an exciting round-up of fun-packed winter destinations that allow you inspire yourself with riveting cultural experiences, sight-seeing, adventure and a lot more. Tucked away in Banff National Park, a winter wonderland-like town that is located between Mt. Cascade and Mt. 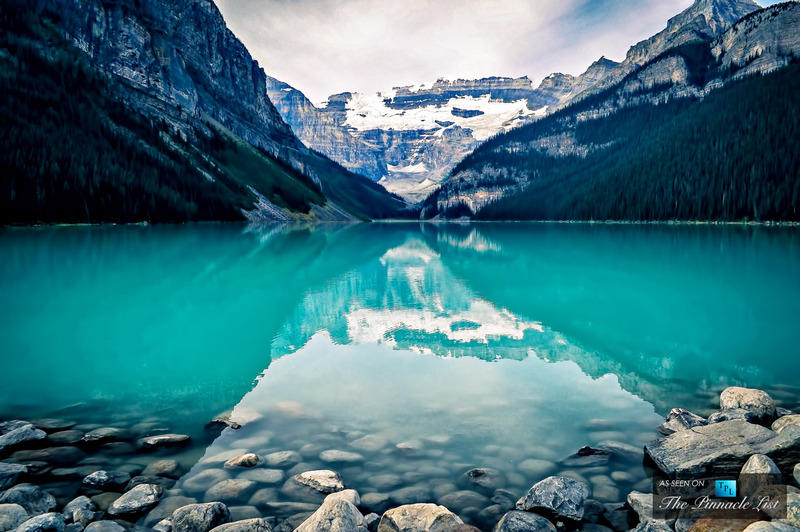 Rundle, Lake Louise is an alpine lake that will leave you mesmerized with its water colors. You can enjoy a challenging and adventurous hike up to the lake, an experience that will be rewarding and gruelingly tough. The lake itself is a majestic specimen of natural beauty, and depending on the natural light, it will reveal shades of sapphire, turquoise and lapis. You can enjoy skiing in the region, bathe in the natural hot springs and hike through the mountain trails while inhaling the crisp winter air of the mountain. Travelers who are enthusiastic about winter sports and snowy wonderlands will fall in love with Interlaken as it is brimming with an endless range of adrenalin-pumping adventures. It is said to be the sports capital of Europe, and it allows you to enjoy an action-packed vacation, along with exalting landscapes of natural beauty. You can enjoy kayaking on the lake, paragliding, hiking through majestic nature trails, and of course, going up to the popular Schilthorn, which grew famous after a James Bond film. You can also enjoy winter sports like snowboarding, skiing, bungee jumping, balancer slop gliding, and a lot more. Enjoy a classic European winter vacation in the beguiling and cultured streets of Munich. You can shop your way through the incredibly fascinating markets of the city, feast your eyes on art, and enjoy the various liquors and beverage the beer halls have to offer. Hong Kong is one of the most mysterious and rewarding of cities in the Far East, and this Chinese global metropolis will fascinate you with its sky-soaring buildings, energy-filled harbors, and traditional markets. If you want to soak up the winter sun, it is one of the best locations to enjoy a blend of urban and rural traveling as you explore the central district, the secluded islands, and the popular ferry ride across the famous Victoria Harbor. The Mong Kok region will entice you with its rare varieties of street food, local delicacies and exciting marketplace, while the offerings of mainland Kowloon are also worth-visiting. The ultimate winter destination for skiing, Alta Badia is the most breathtaking region of the Italian Alps, and a ski resort tucked away in the Dolomites region of Val Badia in south Tyrol of northern Italy. If you’re a mountain lover and seek to immerse in the snow, Alta Badia provides you with an endless pool of opportunities for an exciting winter adventure. You can enjoy the seclusion of the mountains and feast your eyes on the unspoilt beauty of the Alps, trace out the majestic walks of history, or immerse yourself in winter sports all day long. Sprawling over six exotic and exciting villages, Alta Badia is the perfect destination for travelers who are passionate about skiing, and adore feasting on traditional South Tyrolean cuisine, Italian delicacies and fine wines. Copenhagen is known as the birthplace of hygge, which the Danish believe to be coziness, you must pack for the ultimate winter vacation of your life. 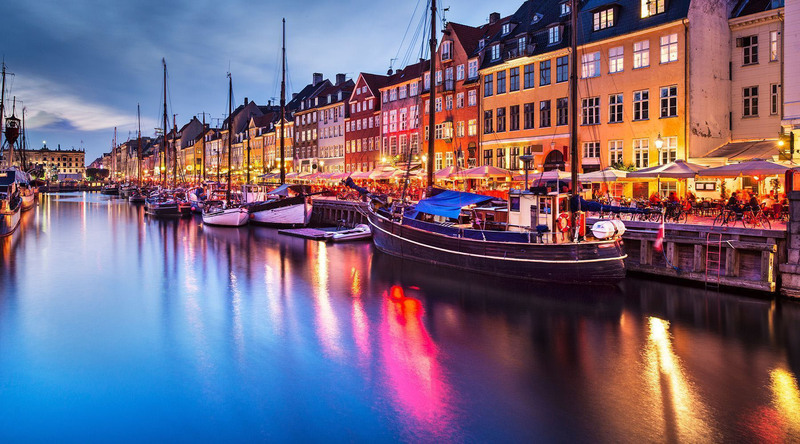 Copenhagen is a dreamy European city that will allow you an abundance of indoor and outdoor fun. The architecture of the city is romantic, exciting and beguiling, from the cozy pastry shops to the artistic boutiques and grand hotels. You can enjoy the season indoors and outdoors, roam through the exalting canals, walk through the enchanting Tivoli Gardens, and feast in Michelin-starred restaurants. The skyscrapers of Nyhavn look stunning and vibrant when seen against the white snowy landscape, and you absolute must visit the Nimb Hotel beside the Tivoli Gardens, it used to be a castle back in 1909 and it will instantly charm you with its birch fireplaces and antique fixtures. If you want to enjoy an adventure that is deep-rooted with the mysteries of history and allows you to enjoy a bearable and mild winter weather, it simply doesn’t get better than Cartagena. This artistic Colombian city will leave you stunned with its beautiful historic heritage and its mind blowing architecture. Besides, winter is a time of great festivity and celebration, and you can attend a great many winter festivals. For instance, the yearly held Hay Festival is all set to take place at the end of January, and it is a merry affair attended by artists, filmmakers, writers and celebrities from across the globe. 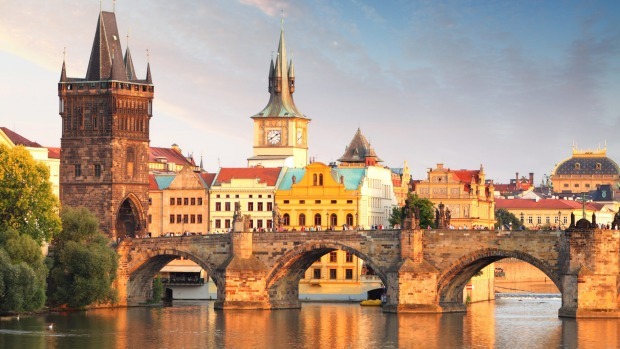 If you seek romance and a rowdily exciting nightlife, it simply doesn’t get better than the romantic European city of Prague. Winter allows you to enjoy the unique charm and beauty of snow covered landscapes and historic buildings, and the best part is that Prague is always less crowded in the winters, which will make your trip much more affordable as well. You can feast your eyes on the stunning Prague Castle and museums without being huddled in a sea of tourists, along with a range of other activities. We strongly recommend you to stroll through the mysteries streets of the old town, roam around the Charles Bridge, take a ghost tour with pub crawl, enjoy a romantic cruise dinner by the river, visit the John Lennon wall and of course, the Jewish Quarter for a walk down history lane. You will enjoy feasting on the countless traditional delicacies, street foods and eclectic pub culture of Prague. Bruges is the most stunning and well preserved medieval city that continues to charm and beguile the travelers with its beauty. It is one of the most charming European cities for an unforgettable winter getaway, and the vibrant lights of the city will leave you charmed and fascinated. The trees and stores of Bruges are all lit up with exotic displays of light and twinkles, which makes it a visual treat to roam around and get lost in the cobblestone streets. 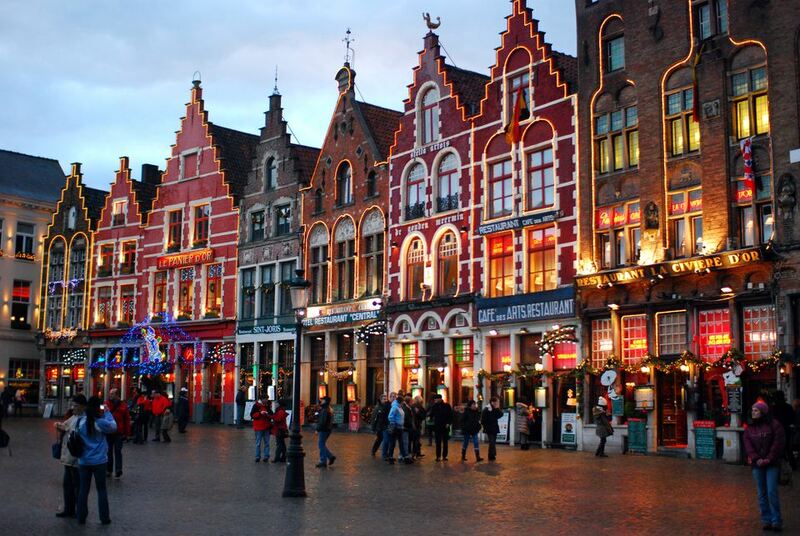 You simply cannot miss out on the wine tastings of Bruges, and of course, you must visit the historic Craenenburg Café to enjoy a rich cup of Belgian hot chocolate. You know what they say, it’s always a good time to visit Paris, and when you traveling in winter, you get to experience the Parisian lifestyle in a much more exciting and fascinating manner. Paris on a snowy day will excite you with its restless energy, and be sure to pack a fine and powerful winter coat because it tends to be very cold. 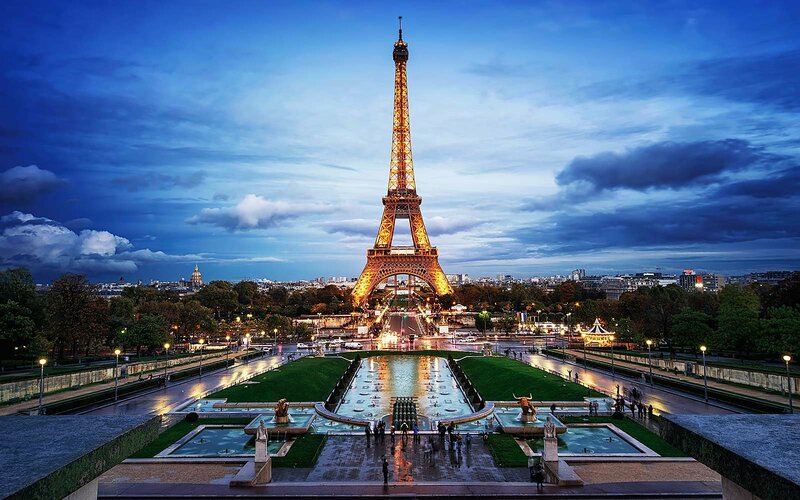 Winters in Paris are a dazzling experience because the city of lights tends to get bolder and brighter with a dazzling display of lights twinkling through Champs-Elysees and exuberant displays to beautify the Galeries Lafayette. Notre-Dame, Eiffel Tower and all the other attractions undergo a magical snowy makeover, while the Peninsula Paris is the best place to luxuriate in the true Parisian experience as you walk through the market, shopping for fine caviar, munching roasted chestnuts and feasting on smoked varieties of delicious salmon.